How do I change my domain/document type? You can also get customized suggestions by selecting the Intent, Audience, Style, and Emotion of your text. 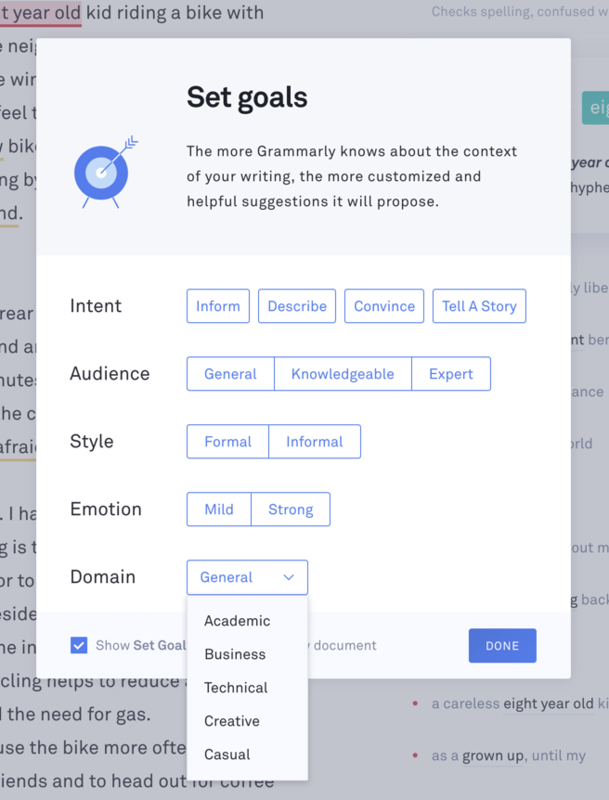 For more information about documents types in Grammarly for Microsoft Office, please check this article.